NRC personnel responded to an anhydrous ammonia release from a refrigeration system at a food processing facility. The release was caused when the facility caught fire and the anhydrous ammonia refrigeration system collapsed. During the initial phases of the response NRC personnel provided perimeter air monitoring for the first responders, as they fought the fire. NRC personnel also was responsible to contain the run off from the firefighting operations. 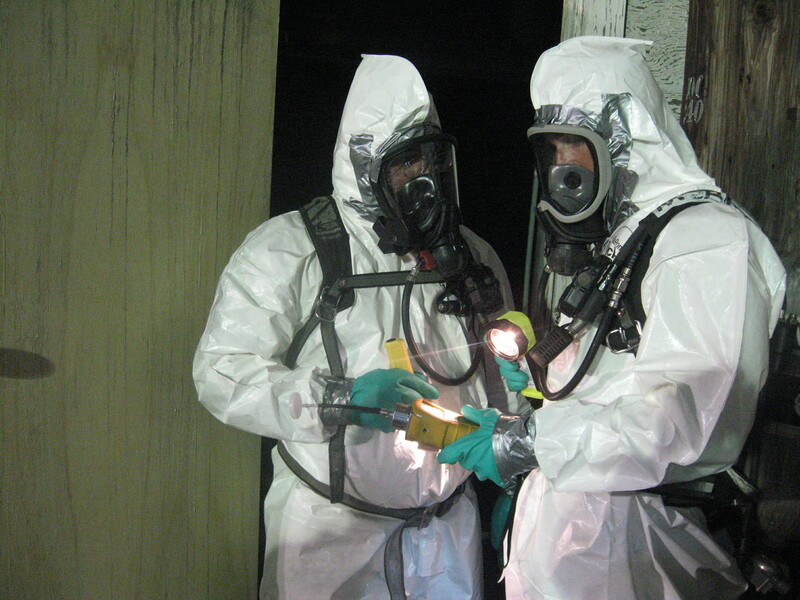 Once the fire was suppressed NRC personnel conducted site surveys utilizing direct reading meters testing for ammonia. 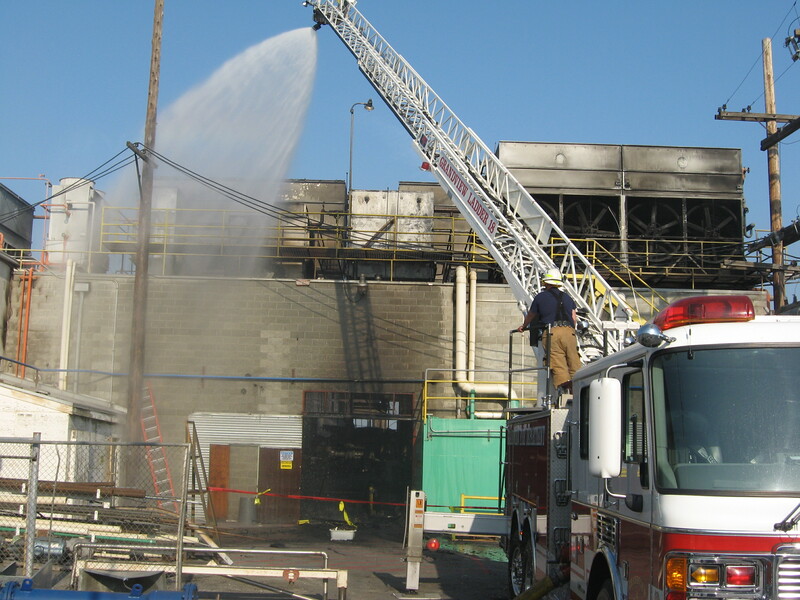 Many of these assessments were conducted utilizing Level B Personal Protective Equipment (PPE), as the some of the areas were well over the OSHA’s Immediately Dangerous to Life and Health (IDLH) permissible limits. 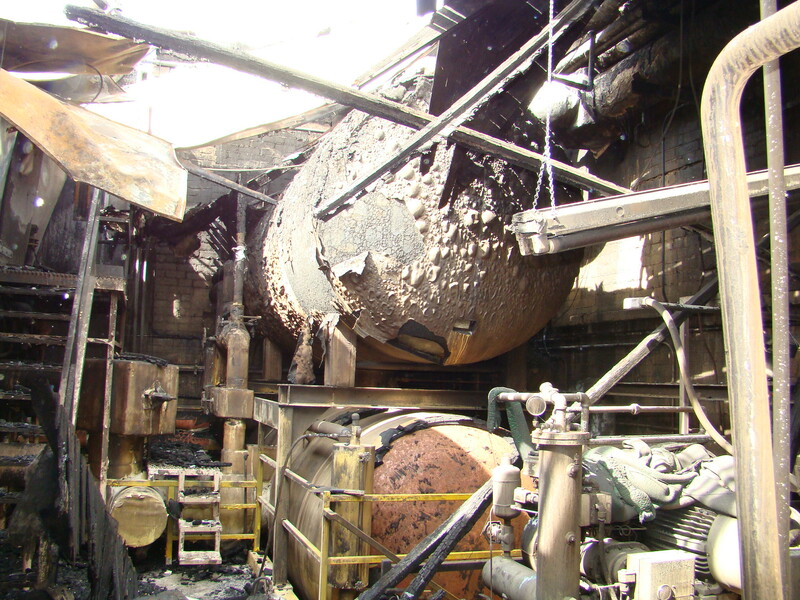 NRC personnel utilized many mitigation techniques to removed and secure the heavily damaged refrigeration system including vapor sparging, liquid removal with pumps, valve and pipe securement or removal. NRC removed the entire refrigeration system including all of the condensers, receiving/storage tanks, pumps, valves etc. During this month long project NRC personnel continued community air monitoring as well as personnel air monitoring. 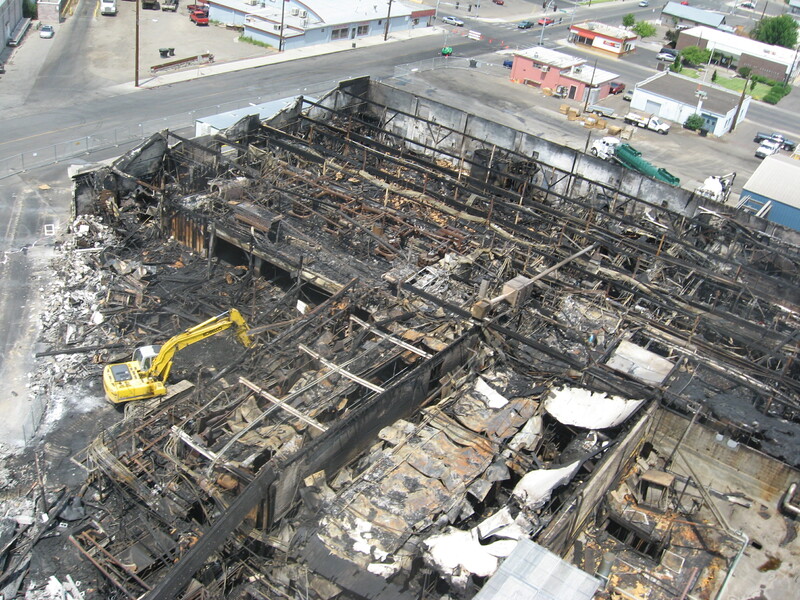 There were no recordable injuries or exposures during this very complicated response and demolition project.